8.) 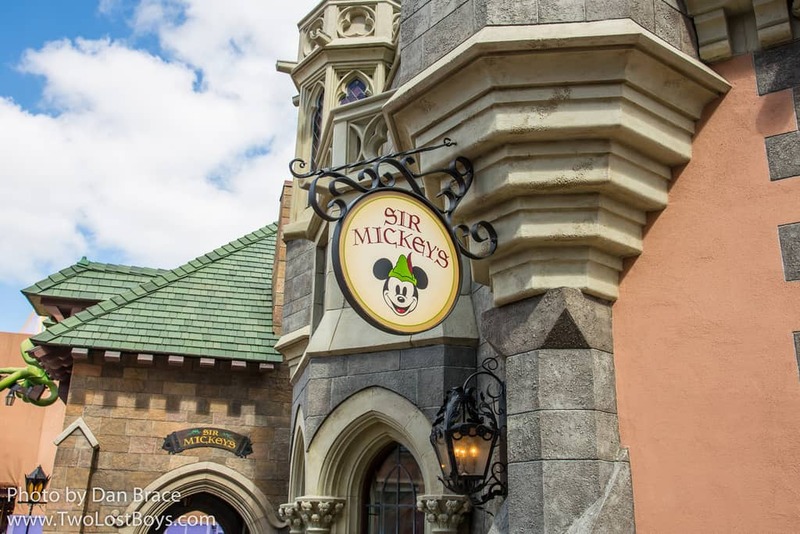 Sir Mickeys – Many guests spend a ton of time in Fantasyland in the Magic Kingdom enjoying the classic and beloved attractions found there including Peter Pan’s Flight, the Seven Dwarfs Mine Train, It’s A Small World, and Under the Sea – Journey of the Little Mermaid. While there are plenty of wonderful attractions to enjoy, there are also several unique shopping locations that sell items guests can’t find elsewhere in the park. Sir Mickey’s is one such shop and part of its charm is its theming. The store is themed around the Mickey character of the Brave little Tailor and guests can even spot the giant from the tale peeking in through the roof. Also found at Sir Mickey’s is a coin press machine that features three options which reflect the residents of the nearby Princess Fairytale Hall. The three options include an image of Cinderella Castle, Snow White with the words Magic Kingdom, and Elsa with the logo from the film Frozen.